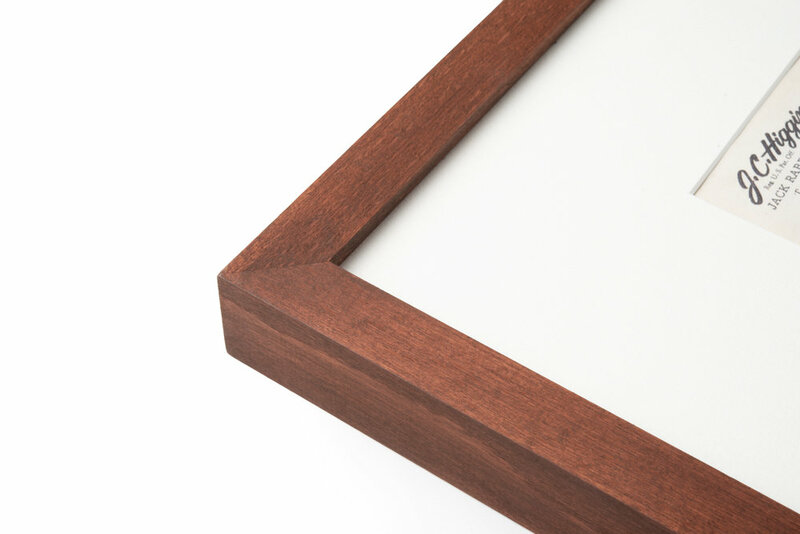 Our dark wood frame is made from hand stained solid beech and is hand-stained to bring out its distinctive grain. The finish is a warm reddish brown, similar to teak or mahogany. Add to cart and select your pickup date before checkout.